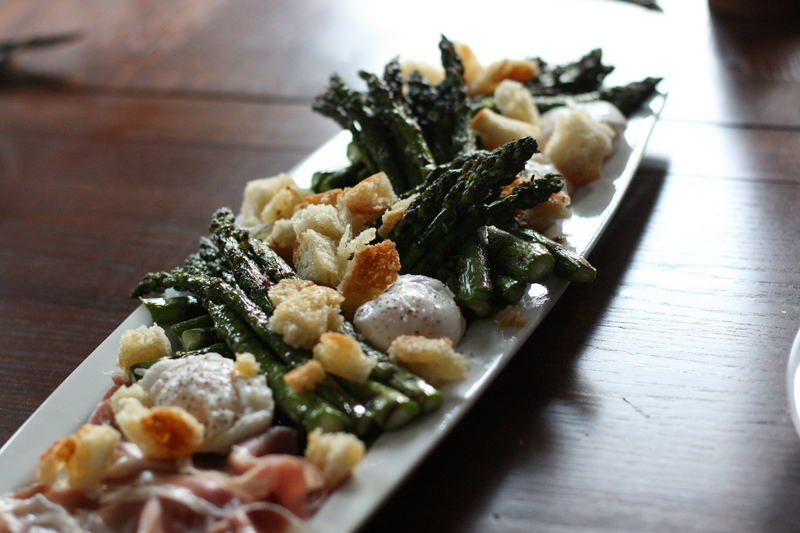 The last dish that Kathy and I made together was this lovely thing. 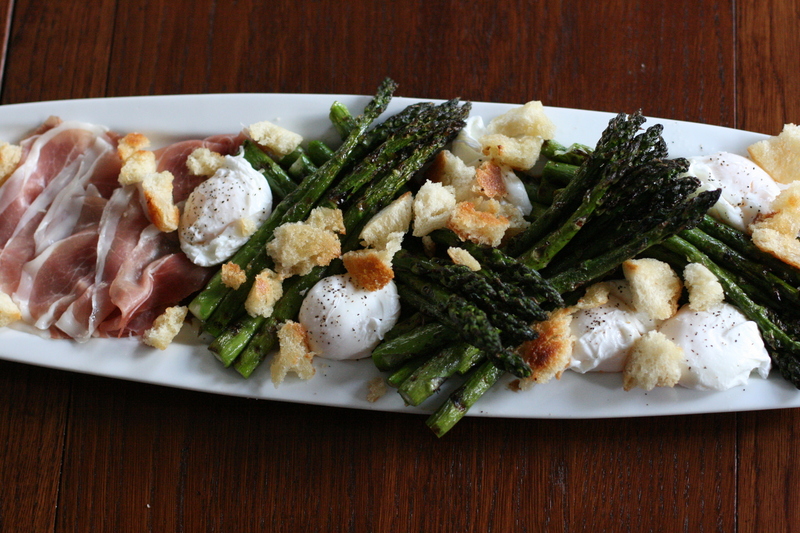 The most thrilling part of this dish (aside from the taste and the beautiful plating) was learning how to poach eggs. Neither of us had poached eggs before, so we were pretty pleased with our results. 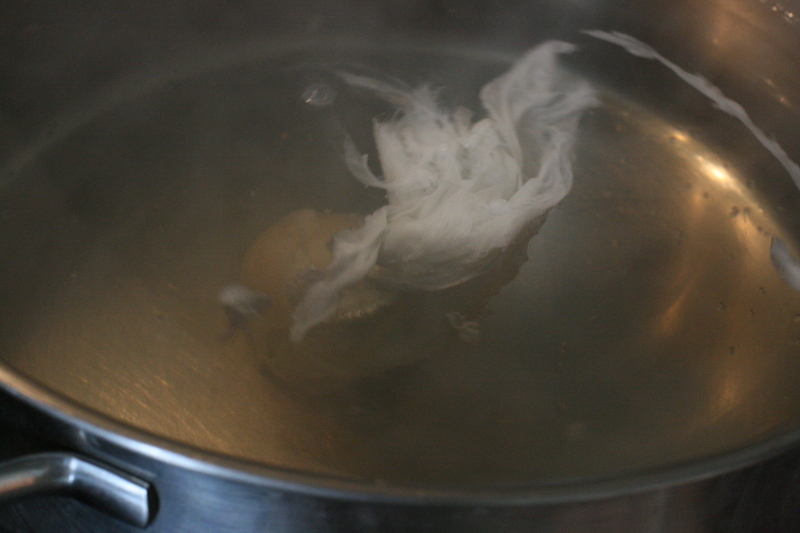 First, bring a lot of water to a boil with a touch of vinegar. 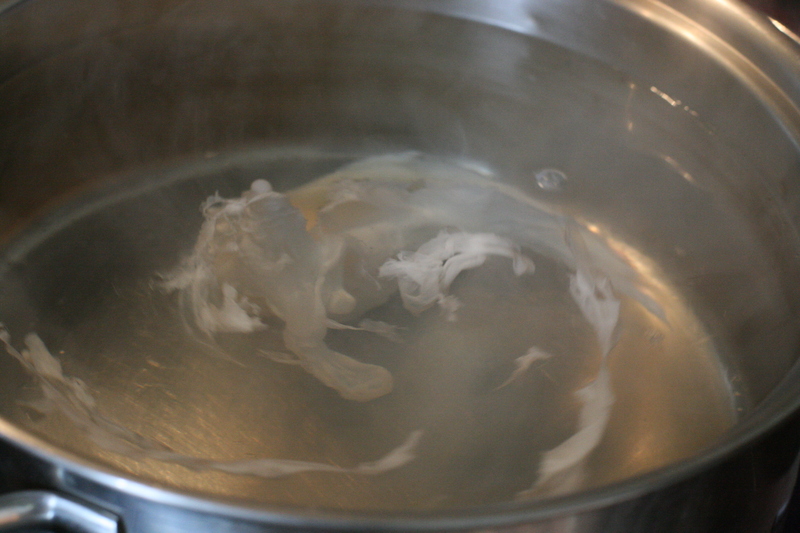 Bring it back down to a simmer and stir the water in a circular motion to get a sort of whirlpool action. Drop the egg into the center (from a ramekin or cup) and simmer gently for about one and a half minutes. It’s sort of crazy how it comes together. 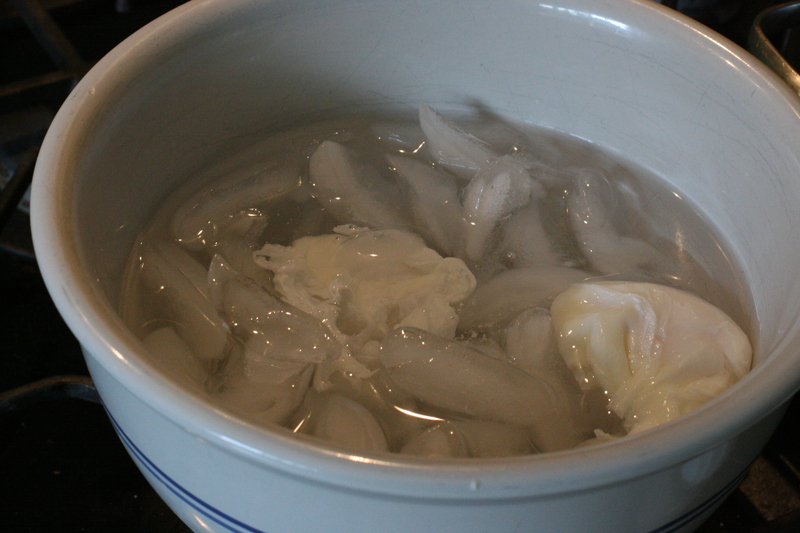 After a minute and a half, remove the egg and pop it gently in an ice bath. When it comes time to plate the eggs, trim off the crazy edges and warm them again in simmering water for just about 30 seconds. Full disclosure- I was the timer and encourager. Not the chef on the poached eggs- but I did feel like I learned something and could do it on my own- so hey! Not so bad! All of these components get arranged on a platter accompanied by some prosciutto. Drizzled with a touch of olive oil and balsamic and finished with some fleur de sel. Looks pretty nice, no? And Check out those eggs! 1. 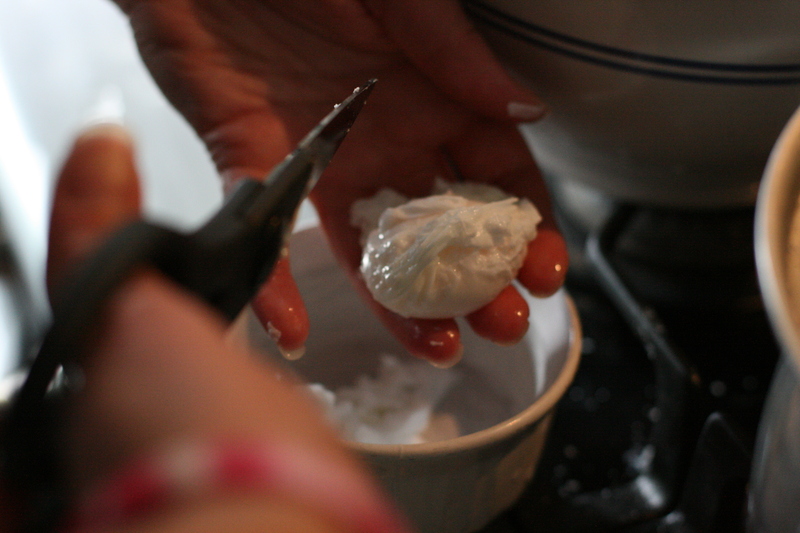 We learned to poach eggs! And it’s sort of a pain! 3. 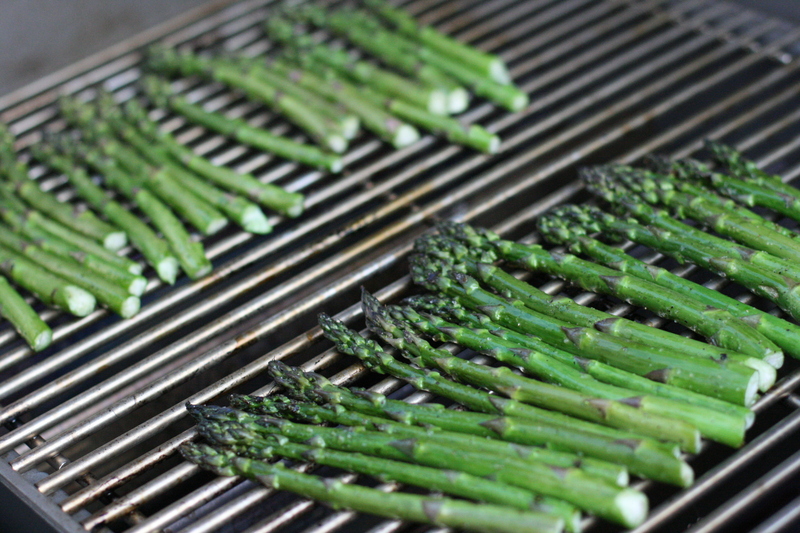 Grilled Asparagus anytime is good. Sprinkled with the Balsamic? Should be a staple. Next time, probably won’t poach the eggs. They were good. Questionable as to whether or not it was worth the effort. Everything else- winner. Recipe can also be found here. 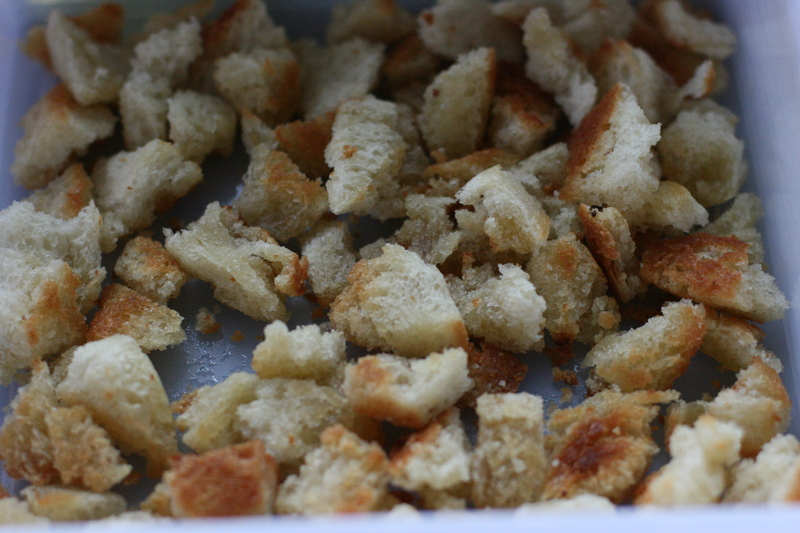 This entry was posted in Kitchen Diaries, Salad, Uncategorized, Vegetable. Bookmark the permalink.